CINCINNATI -- Volunteering at a soup kitchen or donating new socks to people experiencing homelessness aren't bad things to do. 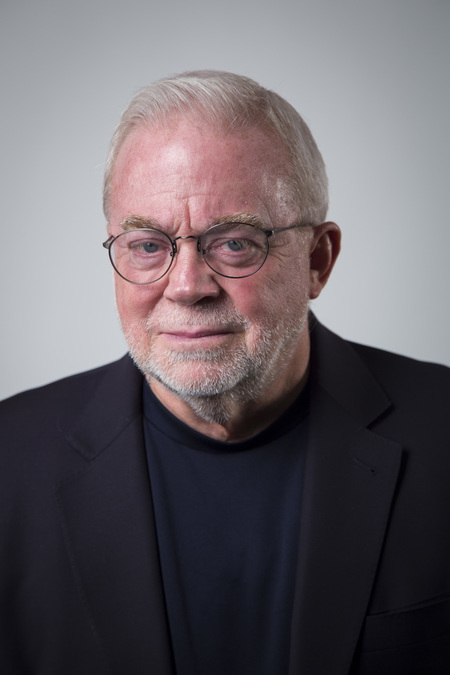 So says Jim Wallis, a bestselling author and speaker who appears across the United States and abroad. He'll be in town for Interfaith Hospitality Network of Greater Cincinnati's interfaith breakfast on Dec. 5 at Crossroads Church in Oakley. The theme of the event is "Faith in Action: Living your spirituality to help others," and it's a message Wallis has been spreading for decades as the founder of Sojourners . "Getting people involved in service, it's an opening. It's a welcome way into getting your world view changed," Wallis told me. "But unless it raises questions, it loses its potential to change our world view." Wallis referenced the famous quote by Dom Helder Camara, a Roman Catholic archbishop in Brazil, who said: "When I give food to the poor, they call me a saint. When I ask why the poor have no food, they call me a communist." "People can't just shelter the homeless and take care of the hungry without asking, 'Why are so many people homeless and why are so many people hungry?'" Wallis said. If they do, he added, they are ignoring what should be their responsibility as people of faith. "That's why it's got to be a beginning," he said. "It's not the end result. It's not once a month I do this and not think about it for the rest of the month." The idea of faith in action is critical to the mission of Interfaith Hospitality Network of Greater Cincinnati, said Stacey Burge, the nonprofit's executive director. The organization provides shelter to people experiencing homelessness by partnering with houses of worship. More than two dozen congregations in Greater Cincinnati help provide temporary shelter to homeless families while over 1,000 volunteers provide the meals those families eat. Interfaith Hospitality Network's staff works with the adults in the family to help them find more permanent and stable housing for themselves and their children. "It's not that typical volunteer work isn't important," Burge said. "But the way that we approach it with our congregations as being central to the way they exercise their faith, an essential part of being there with families, makes us a little bit different." Wallis argues that taking responsibility for the factors that result in poverty and homelessness is the best way for Christians to put their faith in action. "Unless our work teaches us about the larger structural problem to solve, then it can indeed become sort of a safety valve for a lack of responsibility," he said. Wallis told me a story about his brother, who operates a homeless shelter. His brother found congregations from churches coming to serve sandwiches to hordes of people sitting outside the shelter but soon realized that all of them would go back home and vote for the politicians that were cutting the shelter's funding. "So he told them all to go home," Wallis said. "You've got to make the connection to what you're serving, who you're serving and what's happening to them in their social lives." The main point Wallis wants to make while he's here, he told me, is that "we have to go deeper." "We're in a moral crisis. We're in a crisis of when Hispanic people don't want to register to vote because they don't want to sign anything. When every black parent I know is in fear daily for their kids," he said. "Even in progressive white circles and progressive white media, there is still a reluctance to talk about race." In town meetings near Washington, D.C., where Wallis lives and works, he said it often comes down to something he hears black parents say to white parents when they have those frank discussions: "The problem is you don't love our kids the way you love yours." Service to those who are struggling is an important first step, he said. It should never be the only step. "Service just opens our eyes to the people and the problems," he said. "So then how do we care about the people we're serving enough to solve the problems?" Tickets and information are available online for Interfaith Hospitality Network of Greater Cincinnati's interfaith breakfast. Doors will open at 7:30 a.m. Dec. 5, and the program will start at 8 a.m. Tickets are $35 and include coffee and a light breakfast.